This projects has stayed with me, I suspect, because of its powerful simplicity and considered execution. What makes it interesting to me, in the context of Rising, is the aspect of ‘appropriation’, not a difficult thing to do but difficult to do well. Appropriation can be an effective device. The process of consciously lifting something out out of its typical context and using it in another, can create new meaning and ways of looking at something. However there’s also a fine line between appropriation, pastiche (imitation of style), or worse, plain stealing (claiming an idea as your own). Creating something which has longevity and deeper resonance requires an understanding of the thing being appropriated. 1.Image source: 1 & 2. Eric Kilby, Football at Fenway. So what is a football scarf? 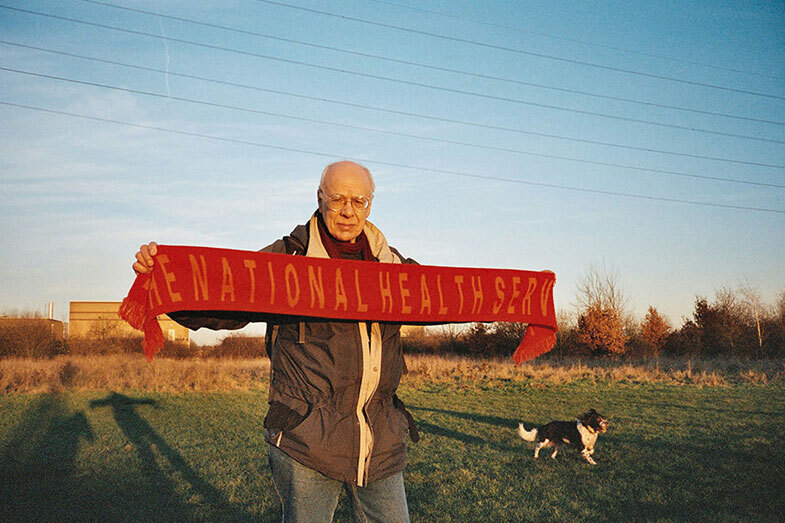 The football supporters’ scarf has been around for over a century in the UK — a mark of pride and a statement of where the wearer’s allegiance lies. You still see people wearing the original two colour striped scarves but increasingly the humble scarf has become an important commercial outlet for teams, sold as expensive official merchandise, with their crest and name knitted in. Outside the stadium the scarves become a walking advertisement of a supporters’ team, whilst inside they are can be held up like a banner. They have to be seen and read at a distance and they have to make a strong visual statement when seen as a mass. As a result football scarves typically use only two prominent colours with bold typography. But what has all this got to do with visual communication for social impact? 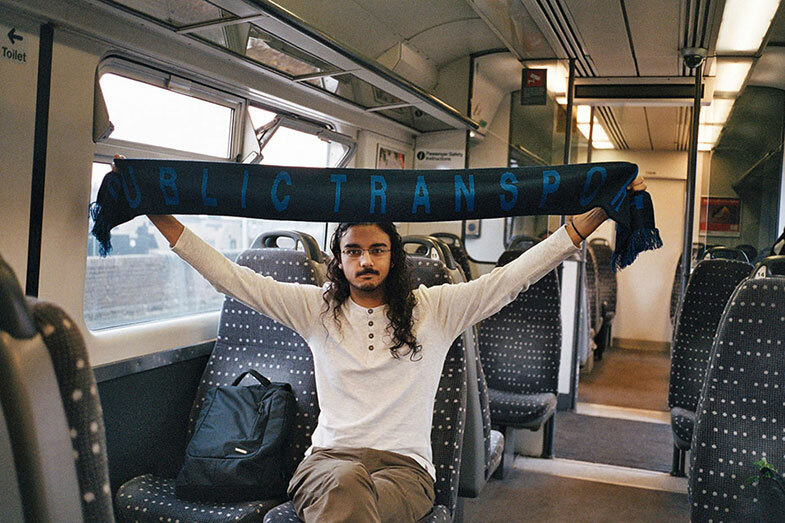 The football scarf is such a simple, but potent symbol of support for something, whether you’re a football supporter or not, that it lends itself to the act of getting behind any cause. The desire to be part of something collectively, and own it as part of our visual identity, is not unique to football supporters. We want to show we believe in something, perhaps encourage others to consider these causes too. We’ve seen this in the rubber wristbands of social causes like Livestrong and in Facebook profiles changed to equal signs in support of HRC equal marriage campaign. But rarely do we see such causes using a medium quite as loaded and constructed as the supporters’ scarf, lending the project a longevity and freshness which also transcends age and class strata. 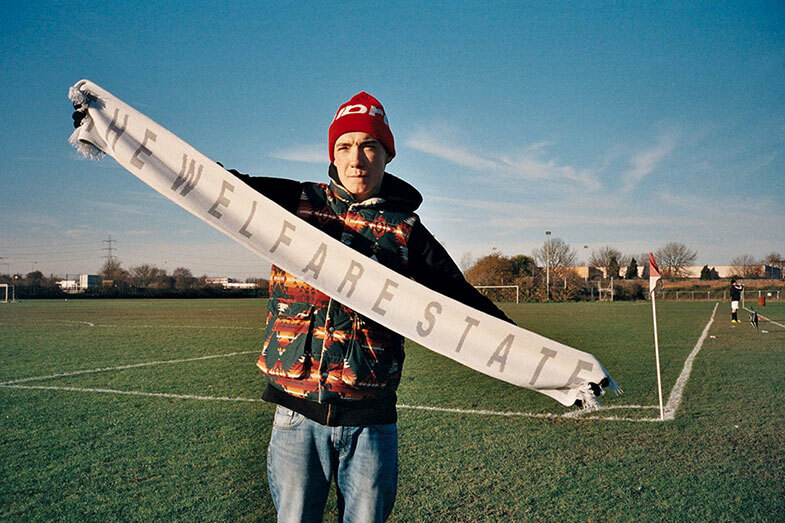 An important part of the project is the typography of Supporters’ Scarves. With the key piece of information being text-based, a typeface was needed which was practical — something that could accommodate the varied lengths of texts, as well as appropriate to the context and meaning of the different messages. Common Office commissioned Åbäke to create a custom font for the project, British Rail Ultra-Condensed, an ultra-condensed sans which comfortably accommodates varied messages; much longer than the usual team names on football scarves. The font is based on Rail Alphabet, designed by Margaret Calvert and Jock Kinneir around 1965 for the National Rail Service signage (now privatised) and once used in the state healthcare service. In essence a typeface that once belonged to the public and public space, making it apt for the public issues on the scarves, whilst also addressing their practical requirements with the clarity and impact of a typeface designed for signage. This project stands out for me because it is made to last, in design aesthetic and production, and uses a visual language that is understood and familiar, whilst still developing it in a way which makes it meaningful to the message and refreshing in its new context. A result of mindful consideration for the visual language and medium being used. Except where mentioned all images by Erika Wall.